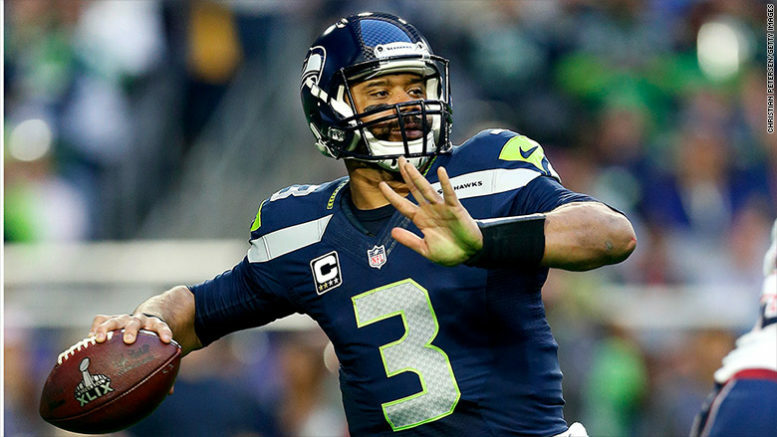 Russell Wilson is having an MVP-caliber season for a Seahawks team that has a prime opportunity to make a playoff run, starting Monday at home against the Vikings. The Titans had a big letdown last week and escaped with a win over the Jets, and really need this one with the lowly Jags coming to town. Jacksonville’s offense is awful, even having made the switch from Blake Bortles to Cody Kessler. Tennessee has won three straight over Jacksonville, including the last two in slugfests (15-10 and 9-6 earlier this season). Both defenses are solid, but Kessler’s ineptitude will let Tennessee squeak by with a win (and cover). Pick: Titans. A Ravens win would really put them in the driver’s seat for the playoffs and possibly even position them for a run at the AFC North title. This feels like an upset in the making because the Chiefs’ offense, as good as it is, isn’t the same without Kareem Hunt, and defenses prevail over offenses in December. The Chiefs almost let the Raiders come back from 17 down last week, and we all know the real implications of a Chiefs loss here — the Patriots could move into prime position for yet another No. 1 seed. The Chargers are also in hot pursuit of the division, and frankly, with this being the best defense Patrick Mahomes has faced this year, this figures to be close no matter what. Pick: Ravens. Speaking of New England-related implications, Patriots fans need a Colts win here. Indy lost 6-0 to Kessler’s Jags, and needs a bounce-back in a big way. Houston is going to lose eventually and you wonder if this is the spot. If nothing else, this should be a bounce-back game for Andrew Luck and another nail-biter, as these teams’ Week 4 matchup was in OT. Pick: Colts. If the Panthers don’t win this one, their season is over. They showed their true colors in rolling over for the Steelers on that Thursday night in early November, but they can’t lose forever, can they? At 6-6 it’s do or die with two matchups with the Saints looming over the final three weeks. The Browns are improved, but I could see Baker Mayfield hitting the rookie wall for a Cleveland team whose playoff hopes are all but dead. Pick: Panthers. Tom Brady is 7-9 in his career in Miami, so Tom Terrific can’t possibly hit double-digit losses, can he? The short answer is no, and if you saw the Dolphins at the end last week you know that their defense was extremely lucky to hang on. It’s December, so the Patriots will win while the other AFC contenders lose. Still, the Dolphins will keep this close if only because it’s the only division game on the weak slate the Pats have every year that gives New England trouble. Pick: Dolphins. The Vikings showed just how average they really are in New England at figure to finish no better than 8-7-1 this year. The real story here is the MVP-caliber play of Russell Wilson and the suddenly-red-hot Seahawks. Seattle has three of its final four games at home and is suddenly a grind-it-out, running team with a defense that is playing better than anyone thought in this supposed post-Legion of Boom era. Wilson is the real gem here, and you can’t ignore the coaching job Pete Carroll has done. This is a prime opportunity for the Seahawks to solidify their playoff standing, and the Vikings have done nothing to show that they are a true threat. After all, they lost 27-6 at home to the Bills as 16-point favorites in Week 3. Pick: Seahawks. Be the first to comment on "NFL Week 14: Welcome to the Fourth Quarter"